Patients outside of our immediate area can now benefit from CFI’s services and fertility expertise! CFI’s Out-of-Area Affiliates program gives patients in different surrounding areas access to nationally recognized specialists and technology. All regular appointments and ultrasounds will still be at your local doctor’s office. About: Dr. David Patton has been practicing Obstetrics and Gynecology in private practice for over 13 years. He is a graduate of the WVU School of Medicine and completed his residency training at CAMC. About: Dr. Brodnik practices specialties in obstetrics & gynecology in Bluefield, WV. He attended medical school at Chicago College of Osteopathic Medicine, Chicago, IL and performed his residency at Naval Medical Center, Portsmouth, VA.
About: Dr. Buck practicesObstetrics and Gynecology in Roanoke, VA. She’s a graduate of Virginia Commonwealth University School of Medicine and completed her residency training at Wake Forest University Baptist Medical Center. About: Dr. Weston specializes in Gynecology, Obstetrics & Gynecology. He is a graduate of the University of Virginia School of Medicine and served his residency at the University of South Florida. About: Dr. Whitley graduated from Appalachian State University, received her medical degree from East Carolina University Brody School of Medicine and completed her residency at Wake Forest University Baptist Medical Center. 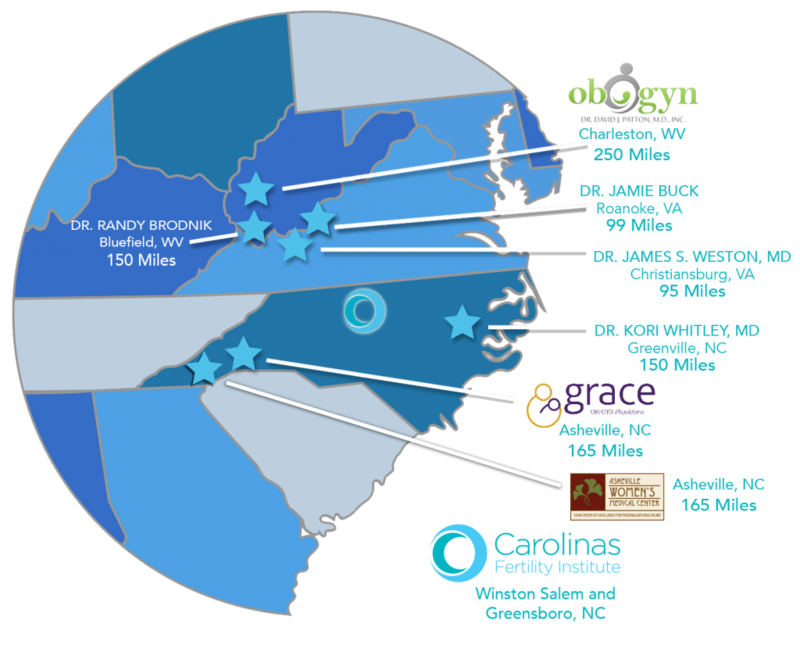 About: The mission at Grace OBGYN is to provide an atmosphere of unique medical care in which the patients needs are met in a caring, compassionate and professional manner. The physicians and staff strive to meet needs in all aspects from routine gynecology to high risk obstetrics. About: Asheville Women’s Medical Center has been the trusted choice of tens of thousands of your friends and neighbors since opening in 1976. We are dedicated to high-quality ob/gyn care along with a genuine neighborly concern for our patients’ well-being. Everyone here follows the same practice philosophy that was set forth over three decades ago: We put the patient first by providing focused, comprehensive, compassionate care.